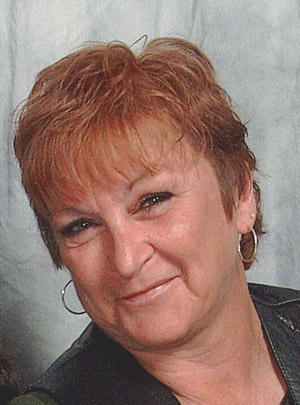 Martha L. Lozier, 66, North Webster, passed away at 2 a.m. on Friday, May 4, 2018, at Kosciusko Community Hospital in Warsaw. She was born April 16, 1952, in Chardon, Ohio to Neil and Mary (Weaver) Hostetler. She attended public school in Ohio, moved to the Kosciusko and Marshall County area in 1985 and to North Webster in 2010. She was married on June 24, 2000, in Warsaw to Tony L. Lozier who survives and formerly worked as a cook & local trailer factories for many years. She was a member of the Church of Jesus Christ in Argos and enjoyed quilting and sewing. She is survived by her husband, Tony Lozier, North Webster; three daughters: Dawn (Todd) Stump, Cromwell; Holly Ramseyer, Battle Creek, Mich.; Sheena (Keith) Kiogima, Battle Creek, Mich.; eight grandchildren; a great granddaughter; four sisters: Edna (Butch) Farmwald, Hutsberg, Ohio; Fran (Dave) Owens, Port St. Lucie, Fla.; Linda (Roman) Hrynewycz, Warsaw; Carol (Jim) Byler, Hoschton, Ga.; brother, Roman (Mary) Hostetler, Middlefield, Ohio. She was preceded by her parents and an infant brother. Visitation is from 4-7 p.m. on Tuesday, May 8, at Owen Family Funeral Home, SR 13 and CR 500N, North Webster. Funeral services will follow at 7 p.m. on Tuesday in the funeral home with Pastor Lloyd Howard officiating. Cremation will take place at Cremation Services of Kosciusko County, 4356 N SR15, Warsaw.